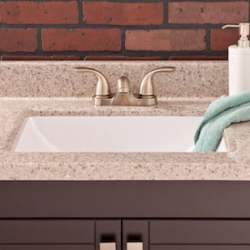 Since 2004 we have been successfully exporting to the United States and Canada, distributing through Cultured Marble Manufacturers, Building & Plumbing Supplies, General Contractors and Home Centers. Our factory facility is located in Cd. Juarez, N.L. 160 miles south from our distribution center conveniently located in Laredo, Texas. 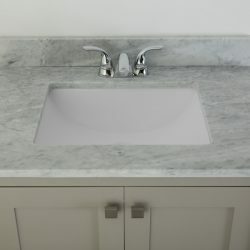 We specialize in fine quality Cultured Marble Vanity Tops and are designed specifically for homes, hotels and motels, assisted living retirement centers and multi-family dwelling. All products are available in either a gloss or satin finish. All products are individually packaged to provide maximum protection from factory to final destination. For additional protection, we palletize and band or stretch-wrap all orders. We offer full truckload and per pallet orders as well. OUR PRODUCTS ARE CERTIFIED BY UNIVERSAL LABORATORIES TO MEET AND EXCEED THE STANDARDS SET BY ANSI, THE AMERICAN NATIONAL STANDARDS INSTITUTE. 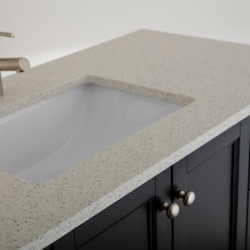 Our vanity tops are certified by Universal Laboratories to meet and exceed the standards set by ANSI and the American National Standards Institute. 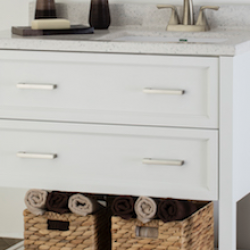 In addition, Bureau Veritas has approved our main vanity top models & packaging. 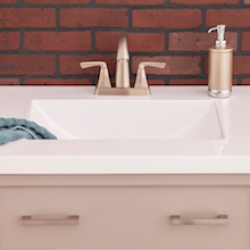 2019 MODULAR VANITY TOPS, ALL RIGHTS RESERVED.